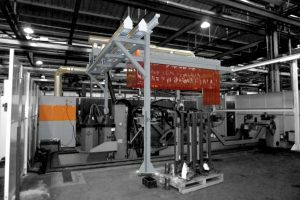 Welding robots are already a reality in many standardised processes. To further automate the processes in these applications, these robots will become even more important in the future. They are designed to ease the workload on welders by carrying out repetitive welds with consistent quality. Speed, range and productivity also play a major role in deciding on a robot ‘colleague’. In addition, welding robots help with certain applications that are difficult to implement with manual welding processes. The work of a welding robot also generates hazardous fumes and gases, however. Metal workers are not directly exposed to hazardous substances when a welding robot is used, as they are during manual welding. But without effective welding fume extraction, the hazardous substances can spread unchecked and contaminate the entire surrounding air. The detection of hazardous substances during robot welding is, therefore, also an issue for all employees in the workplace. 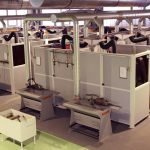 Welding robots: How can companies effectively protect their employees? Even in smaller companies, this type of robot is already being used – welding robots that process small parts automatically. The employee removes finished welded parts from one side of a turntable and inserts new ones while the robot welds on the other side. 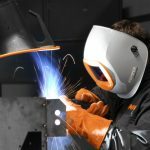 As a rule, robot manufacturers already have the appropriate shielding for this, but shielding alone is not enough to protect against welding fumes. Even though the cabins are closed, hazardous substances can escape when the table rotates 180 degrees, finished parts are swivelled outside and parts to be welded are swivelled into the cabin. A form of room ventilation system helps prevent this. At the end of the cabin, the ventilation system continuously extracts the contaminated air out of the cabin. A central filter system connected to the cabin extracts the hazardous substances and directs the clean air back into the hall. Because this results in air constantly flowing into the cabin from the hall, it prevents the welding fumes from escaping. 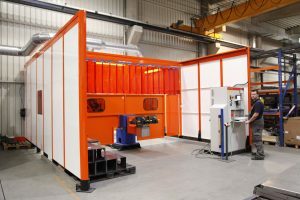 Welding robots are not always enclosed in a cabin and, especially for the processing of larger parts, they may be positioned in the hall. A lattice fence ensures that employees cannot enter sensitive areas, but this does not protect them from the resulting hazardous substances. If the welding robot is stationary, an extraction hood ensures effective containment and detection of welding fumes. The size of the extraction hood – and, hence, the required extraction capacity – depends on the working area of the robot. 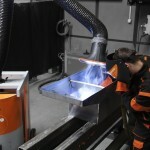 Extraction hoods available on the market vary in width between one and more than three metres. Thanks to their modular design, they can be easily extended from around one metre to almost any length. This gives companies and planners plenty of scope for designing their robot workstations. 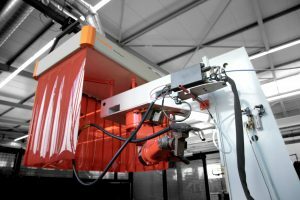 If the welding robot moves between several workplaces on a rail system, a mobile extraction hood is the solution for effective welding fume extraction. Stationary extraction hoods are usually too heavy to be transported with them during movement. 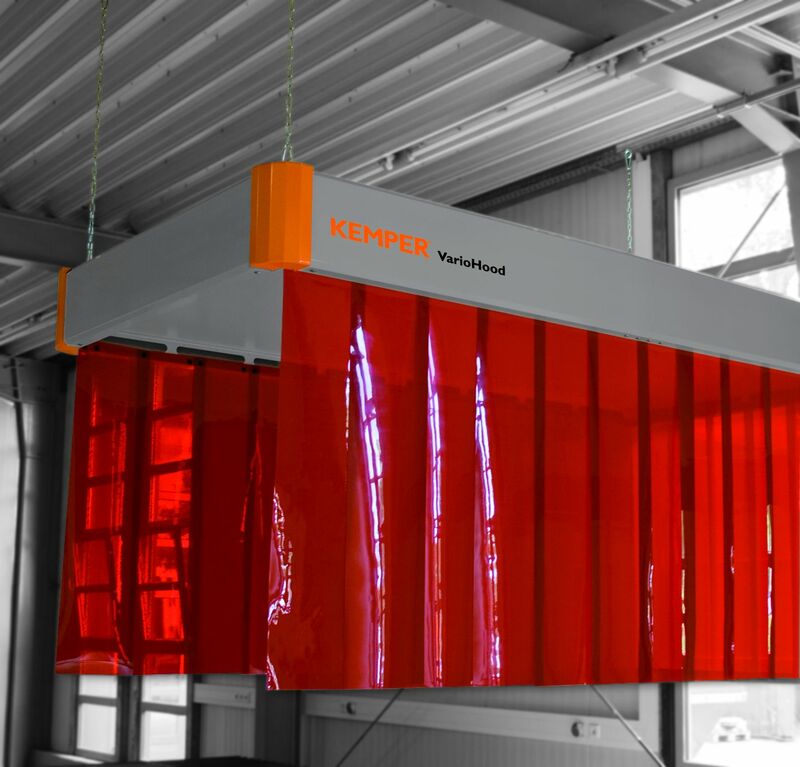 In this case, therefore, specially designed mobile extraction hoods that capture the welding fumes directly above the point of origin are exactly what is needed. They move automatically with the welding robot so they always cover the working range of the robot. A positive side effect for further work processes: During the time that a welding robot is working at another workplace, mobile extraction hoods do not obstruct the transport routes! This is particularly relevant for the supply and removal of large components by crane. When welding robots react very flexibly and are also extremely manoeuvrable, the extraction solutions already described reach their limits. In other words, this means that companies have to ‘shut in’ these robots in the truest sense of the word. In order not to contaminate the ambient air, a part of the hall is spaciously separated by curtains around the welding robot’s sphere of action. The necessary transport routes are cordoned off with overlapping lamellas suspended down to the floor from swivel arms. This does not really seal off the area, but it does minimise the open spaces. In this demarcated area for the welding robot, an extraction system is integrated at the end. The airflow volume also depends on the size of the cordoned-off area and the remaining free openings. This creates a permanent air flow that keeps the welding fumes away from the transport routes. The connected filter system returns the cleaned air into the production hall. 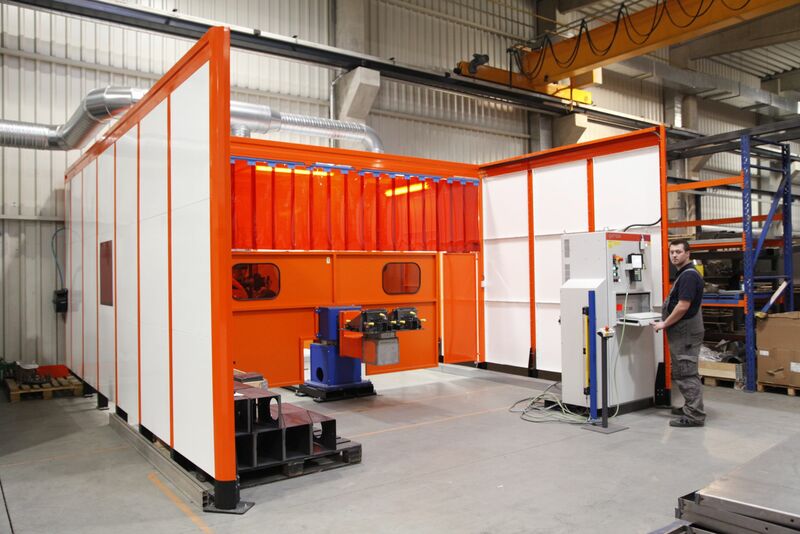 By continuously removing air from the welding area, the area around the robot constantly recovers the missing air from the clean hall surroundings. For reasons of health protection, metalworkers may only enter such areas when the welding robot stops its work. Central extraction systems are always part of an effective welding fume extraction system for robot welding. They must be able to extract large quantities of welding fumes from the contaminated air. These days, extraction systems are required to meet certain requirements (click here to learn more). Planners of effective extraction technology adapt them individually to operational requirements. This is the only way to make the systems as energy-efficient as possible. Individual airflow concepts ultimately require a lower airflow volume to be extracted at the end. This is beneficial for energy-efficient and low-noise operation. Frederic Lanz: "Let's make welding cool, clever and clean!"